But the worst thing are the shiny-eyed evangelists. Or Jedis. Or Ningas or whatever other B-movie label they take. I had one come to a meeting I was in to tell us we did not believe enough – honestly! He said something like “You are doing OK but you are not committed to Agile enough. If you believed in it more, if you really believed it you would be 500% more efficient”. I queried that, but he was adamant. He was fanatical. 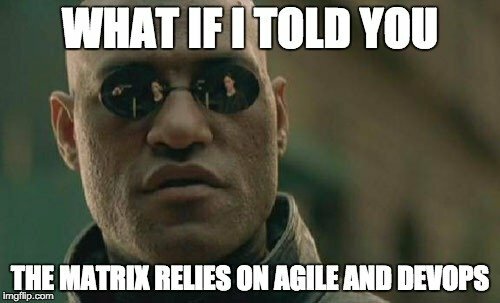 I think he put back the image of Agile in our team by about 500%. I always smile when someone mentions scrum I think of playing rugby lots of pushing, shoving, kicking of shins and trying to move in opposite directions. Next Next post: Annoying your user base never pays off!